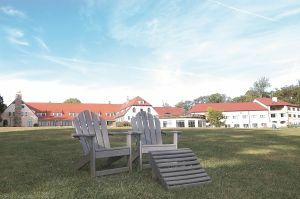 Choose an exit that’s right for you….whether it’s overnight lodging, a restaurant that locals love, or a place to stretch your legs. 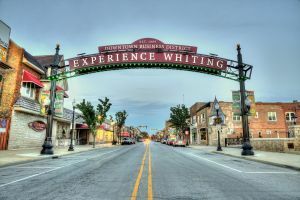 Discover the City of Whiting, nestled between Chicago and the shores of Lake Michigan. 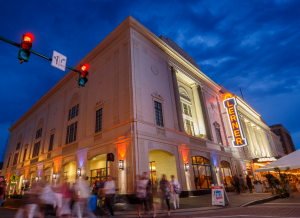 The historic downtown is flourishing with quaint shops, a historic movie theatre, a micro-brewery, and a wide variety of cuisine; all within walking distance. 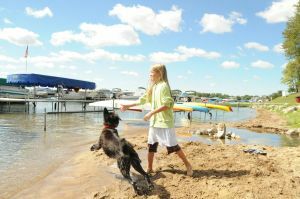 Explore Whiting Lakefront Park and the many family attractions and events. 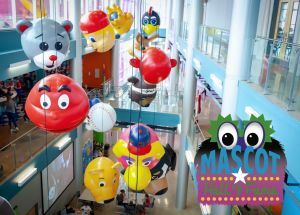 celebrate mascot fun for children, adults, and sports fans. Heading to Bass Pro Shop or the Imax theater? Use Exit 23. 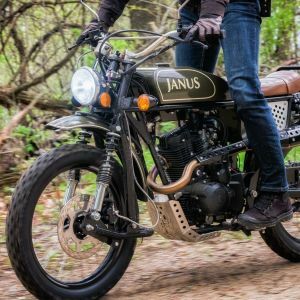 Outdoor lovers, rejoice! 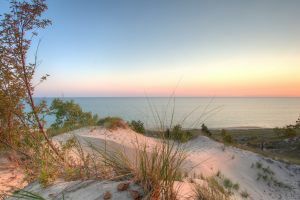 At Exit 31 go north to the Indiana Dunes National Park –formerly the National Lakeshore– for beaching along Lake Michigan and hiking among towering sand dunes. 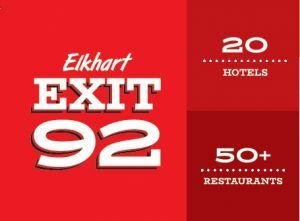 Exit 31 is also a great exit for choice dining spots. To the south, Valparaiso is known for a host of trendy restaurants. 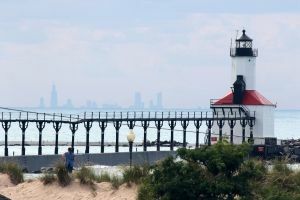 The Lake Michigan shore invites a quick respite or overnight for eastbound travelers at this Michigan City exit, also a popular stop for those who love casino thrills and great shopping finds. 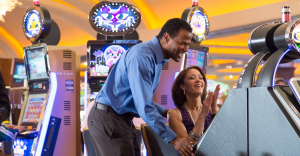 Hit the beach at Washington Park, the tables at Blue Chip Casino or the host of shops at Lighthouse Place Premium Outlets. Love shopping and fun? If you’re headed west, make a quick (or longer) exit here. 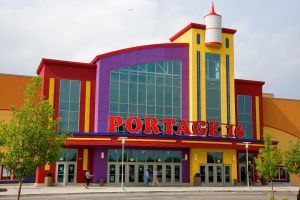 In Michigan City, dip your toes in Lake Michigan at Washington Park, play at Blue Chip Casino or shop at Lighthouse Place Premium Outlets. 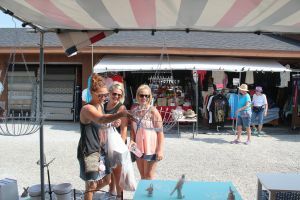 Turn south to visit LaPorte, for great finds at Coachman Antique Mall and fresh produce west of town at Garwood Orchards and Market. Amish culture and history come alive about a half-hour’s drive south at Amish Acres Historic Farm & Heritage Resort in peaceful Nappanee. 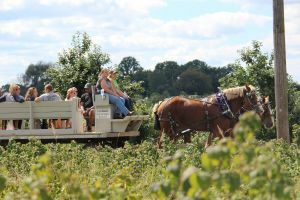 Wagon tours around the farmstead, live theater in a restored barn, and bountiful Amish food make this stop worth a day or overnight. Exit here, take the US 31/20 bypass around South Bend, and follow 20 to State-19 south. 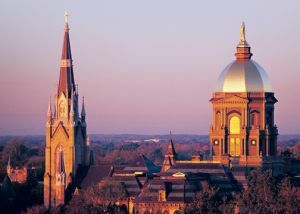 quadrangles, visit the sacred Grotto, pick up Fighting Irish paraphernalia at the Hammes Bookstore and dine or stay on campus at the AAA 4 Diamond Morris Inn. 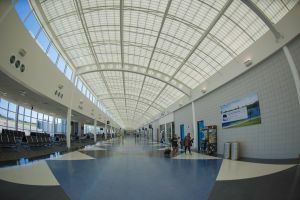 At Exit 83, shopping and dining abound in the Grape Road area. minute away. 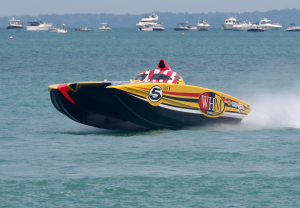 Choose from well-loved local eateries and numerous franchise favorites. 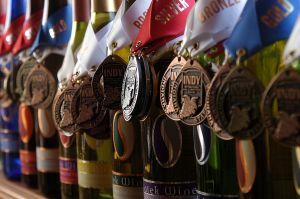 Then take advantage of Elkhart’s lively downtown scene and the popular RiverWalk. Farther south is Amish Acres. Get off the road at Exit 96 so you can walk an amazing “road back in time” inside the RV/MH Hall of Fame & Museum in Elkhart. 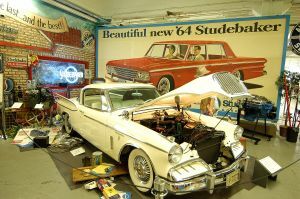 It’s lined with vintage recreational vehicles, motor homes and even Mae West’s 1931 Chevy Housecar. Continue your trip back in time at Bonneyville Mill on the Heritage Trail. 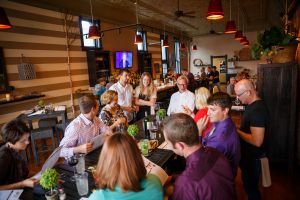 Exit 101 leads to lively Goshen where the historic Old Bag Factory features artisan shops and restaurants. 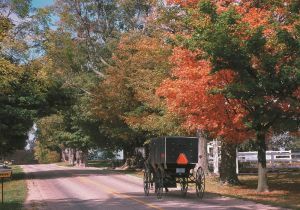 Exit here and discover Amish back roads where horse-drawn buggies abound. Stop at small “shingle shops” gracing Amish farmsteads. 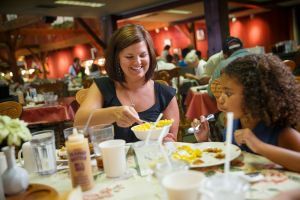 In tiny Middlebury, Indiana’s largest restaurant features Amish food right next to an upscale hotel. A few miles east, Shipshewana offers even more Amish pleasures. One of the largest Amish populations in the U.S. lives in this area. 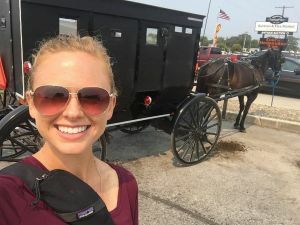 Shipshewana is the heart of it all, with some 80 stores filled with handcrafted quilts and furniture, restaurants serving hearty Amish fare, luxurious lodging and a huge flea market twice a week. 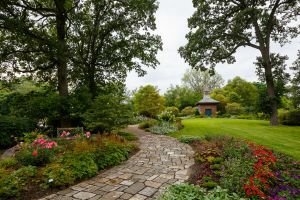 Stretch your legs on hiking trails at scenic Pokagon State Park, visit the nature center or enjoy a picnic by Lake James, the park’s centerpiece, which also boasts two swimming beaches.